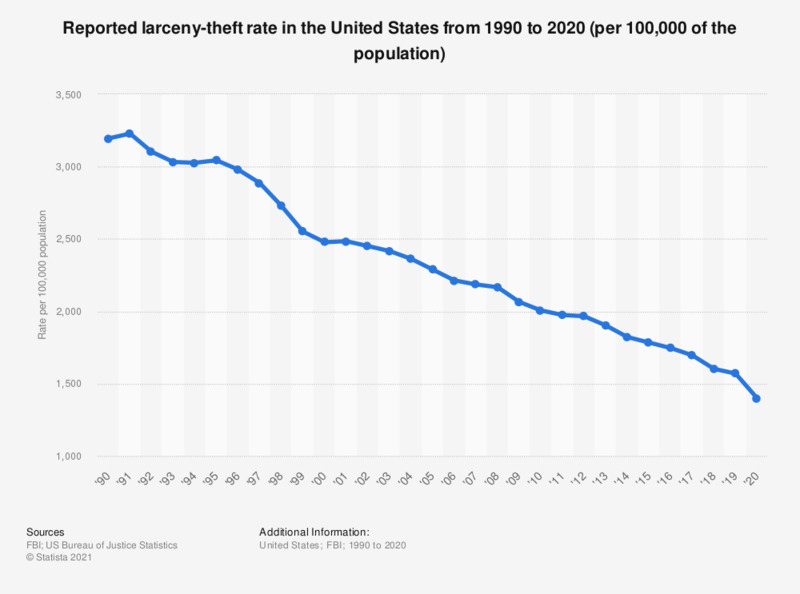 This graph shows the reported larceny-theft rate in the United States from 1990 to 2017. In 2017, the nationwide rate was 1694.4 cases per 100,000 of the population. The unlawful taking of property other than a motor vehicle from the possession of another, by stealth, without force or deceit. Includes pocketpicking, nonforcible purse snatching, shoplifting, and thefts from motor vehicles. Excludes receiving and/or reselling stolen property (fencing), and thefts through fraud or deceit.